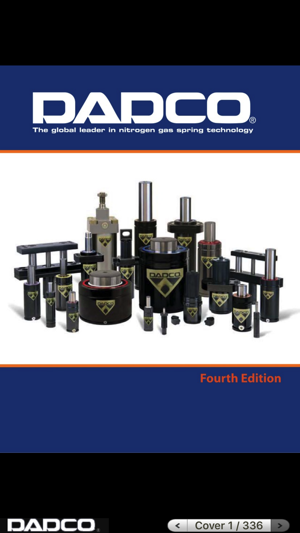 Browse the comprehensive collection of nitrogen gas springs, nitrogen gas spring lifters, guide retainer sets, air cylinders and other high-quality DADCO products. 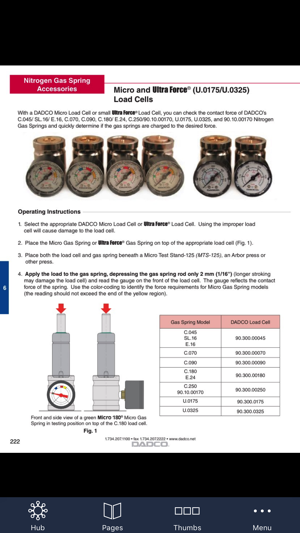 With this interactive catalog you can quickly navigate to specific catalog content by using hyperlinked tabs, thumbnails, content listing or page number. Other cool features include sticky notes and bookmarks that can be applied to frequently referenced pages. Using touch navigation, you can easily flip through the pages of the book to access the products. 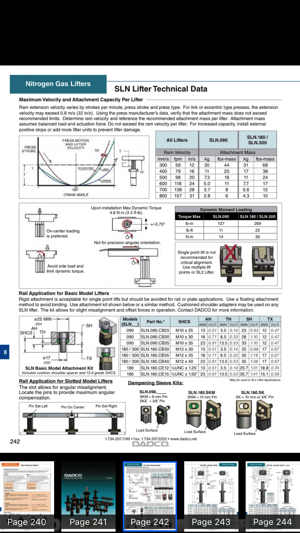 Each product include the necessary dimensions, force information, accessory options and part number to aid in the selection of the best items to include in your die design. 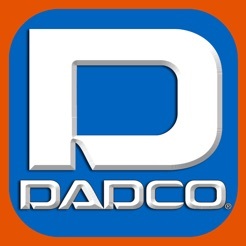 Download the App now to get the popular DADCO Mini Book at your fingertips. 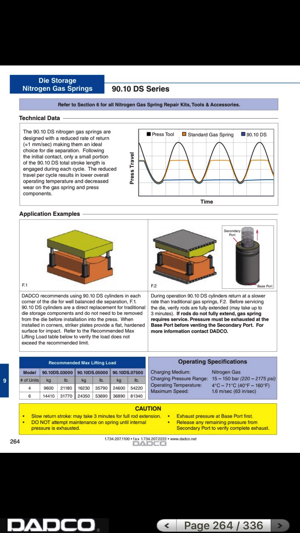 Since being established in 1958, DADCO has become the leader in nitrogen gas spring technology. This has been accomplished, in part, by using high quality materials along with state-of-the-art equipment to design, develop and manufacture its products. 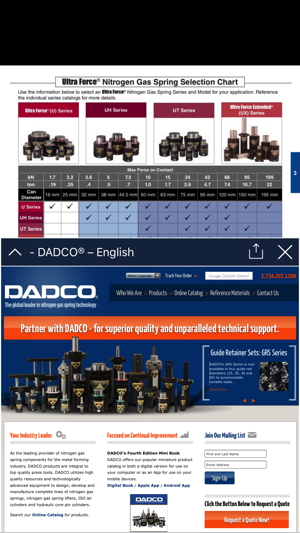 DADCO’s focus is to provide superior products, expert technical support and outstanding service to every customer. Headquartered in Plymouth, Michigan, DADCO also has direct locations in seven countries on four continents with ongoing expansion. DADCO’s strategically located facilities are complemented by a vast network of distributors to meet customer demand in almost any region around the globe.